On the day when Huawei introduced arguably the most ambitious camera system to grace the back of a smartphone, HTC disseminated another video teaser for its upcoming HTC 10 flagship model, focusing on the rear-facing camera. The manufacturer has been sensitive to talk about the quality of the rear camera on its flagship phones ever since it put a 4MP Ultrapixel camera on the back of the HTC One (M7). 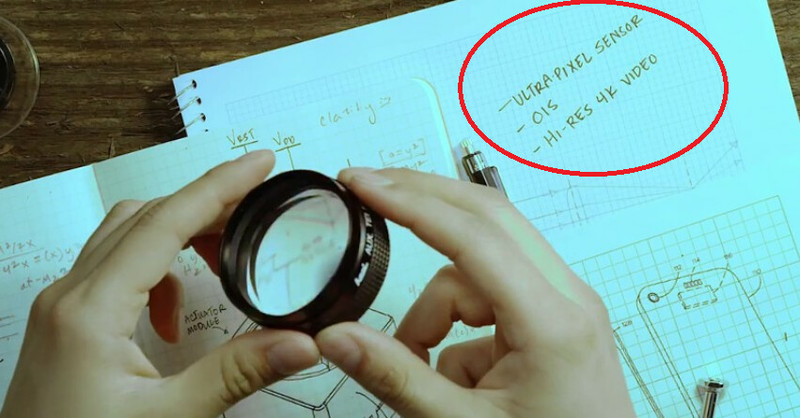 UPDATE: A look at the end of the teaser shows that the HTC 10 could very well feature an UltraPixel sensor. The rear camera will also include OIS and take Hi-Res 4K video. Check out the still image from the video at the bottom of this article. The teaser says that the manufacturer "is obsessed with providing you the best ever smartphone for shooting photos and videos." That is setting the bar pretty high; while some HTC fans are getting excited, the company has set some pretty high bars in the past and was unable to reach them. The HTC One M9, for example, was a major failure in the U.S. leaving HTC's financials and stock price in a shambles. But now, HTC says that it knows "how important a high quality camera is to you." Other teasers say that the HTC 10 will be the "smoothest and fastest Android phone," and that it is also "fine tuning the highest quality sound possible." The device is rumored to have front-facing stereo speakers. Other rumored specs include a 5.1-inch Super LCD 5 display carrying a 1440 x 2560 resolution. The Snapdragon 820 SoC is said to be under the hood, featuring a quad-core CPU and the Adreno 530 GPU. 4GB of RAM is expected to be inside along with 32GB of native storage. A 12.3MP camera will grace the rear of the phone while the front-facing shooter should weigh in at 5MP. Android 6.0.1 will be pre-installed. HTC is expected to unveil the HTC 10 on April 12th. Not a fan of htc though pretty excited to see if they manage to stand on their bold claims considering the past shows otherwise. Price will again be crucial for the success and I really hope they learn from their mistakes Sammy beware! Even though I'm a big fan of HTC, it would have been much more believable had they said: "we are obsessed with providing you OUR best ever smartphone for shooting photos and videos." for me as long as picture dont look unattural and artificial like on the S7 i be happy. I believe they can be good in this front. My wife has the Desire Eye and that probably still remains the best front camera on a smartphone. 13MP with dual flash, pictures look great in it. The thing is, their rear cameras rarely ever measure up to the competition, they need to be more competitive on that front. HTC Desire HD was the top android phone at is time in camera. HTC one S and one X had top 3 best camera at there time. Its since M7 M8 M9 i agree they failed on the camera front but all the 3 of them where faster and more fluid than any other android handset of the same time. "4MP Ultrapixel camera on the back of the HTC One (M8)." You mean the " M7 " not the " M8 " . http://www.gsmarena.com/lg_g5_vs_samsung_galaxy_s7_low_light-review-1420.php LG G5 has the best camera phone this year. That's just low light, how about everything else? on strong light the 16MP camera in LG G5 will shine even brighter. it's funny though GSMArena stated that S7 failed to focus in certain scenes. yeah totally agree sammy camera shoots at gta V format . because of u i sheep think we people are stupid . Maybe you should make that claim after HTC releases the phone because no-one knows for sure whether it will be better,on par or worse than the S7's camera. HTC will use same sensor as the nexus 6P with wider aperture and ois. nexus 6P in most case is almost as good as the S7 with more natural colors. So unless they mess up really bad its should be at least as good. S7 picture are amazing but unreal for me best camera take picture as close to the reality as possible. G5 deliver on thats end easy! M8 was 4MP. Sad, I know, I had it. Software added bokeh is a joke when there is no Depth Of Field information from a second sensor, . With no DOF info software bokeh applies bokeh to an image in a 2D plane so a portion of the image is in focus and the rest of the image outside of the selected portion is out of focus. So background subjects that are near the main subject in the photo are still in focus even though they may be 100s of feet or yards behind or in front of the main subject. Real bokeh in photography is based on depth of field determined by aperture and focal length. The amount of bokeh blur an object has depends on how far behind or in front of the main subject that's in focus. In order to apply bokeh properly via Software there must be DOF info available. In a camera that has no adjustable aperture or focal length, the only way to achieve this is via a 2nd sensor. Because of the second sensor, the One M8 camera excelled when it came to images with bokeh, at least for a phone. In virtually all other aspects of photography the M8 had an inferior camera. But it was acceptable. If you want a good camera, buy a good camera and learn photography. next time make it little short . i hate essay .